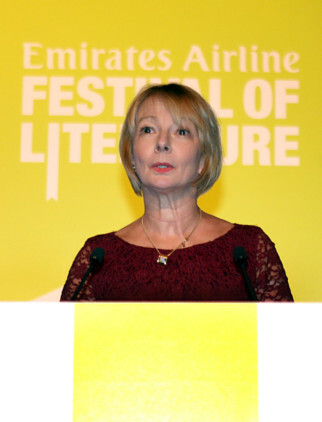 Dubai: Two new events were announced on Monday evening for the roster of the Emirates Festival of Literature 2014. Yvette Judge, acting director of the festival, said that the upcoming festival will continue to have crowd favourites, such as the Desert Stanzas, the murder mystery dinner, the George Orwell lectures and the female focus mornings, which have sessions that deal with women’s issues. Judge added that there will be a number of new events. One of them, she said, is Friday Rhythms, which is an evening of poetry and music by “LiTTLe MACHiNe”, a trio of poets and musicians who set well-known poems to music and perform them. Another new addition, Judge said, is the Literary Idol, where aspiring artists get a chance to hear a piece of their work read out in front of a panel of judges and an audience, who will then vote on their favourite piece at the end of the session. The festival will run between March 4 to 8, 2014 and is held under the patronage of His Highness Shaikh Mohammad Bin Rashid Al Maktoum, Vice-President and Prime Minister of the UAE and Ruler of Dubai, and in partnership with title sponsor Emirates and the Dubai Culture and Arts Authority (Dubai Culture). Out of the 113 participants announced for the festival on Monday evening were 22 Emirati authors, publishers, poets and personalities. The complete line-up included names such Kate Adie, a renowned British reporter and author of non-fiction works including The Kindness of Strangers and Into Danger; Khalid Al Budoor, Emirati modernist poet and co-founder of the Emirati Writers’ Union; Peter James, British author of the best-selling Roy Grace detective novels; Pankaj Mishra, Indian journalist, novelist and travel writer, author of the Orwell Prize-nominated From the Ruins of the Empire. The festival will also have a strong Arabic contingent, with 43 of the announced participants coming from Arab countries, such as the UAE, Egypt, Lebanon, Bahrain, Qatar, Palestine, Jordan, Iraq and Kuwait.